Farmind provides comprehensive services, from support for planning to design, development and operations support. Our broad range of solutions includes unique functions that standardized ASP programs cannot achieve as well as linkage to existing backbone systems. Drawing on our extensive experience and accomplishments in developing systems attuned to the characteristics of fresh produce, including their absence of product codes, lack of uniformity and short storage lives, we are able to systematize even “system-resistant” operations. 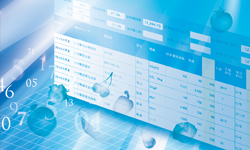 We investigate and compare various options to develop user-friendly IT tools. 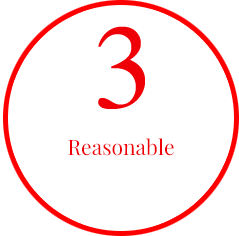 We offer systems that not only meet requirements precisely but that resist problems as well. 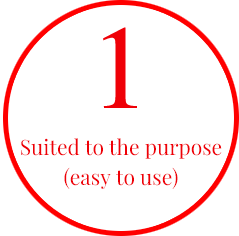 We completely eliminate unnecessary costs to achieve appropriate pricing. Users other than system administrators find master system maintenance problematic. Improper maintenance could result in lost opportunities when transactions arise suddenly. Our systems design eliminates unnecessary master maintenance work to the extent possible (avoids attracting users’ attention), facilitating the “spontaneity” required for transactions and enabling users to execute operations quickly. Our operating concept begins by identifying the characteristics of “statistical information” for use in marketing and “transaction information” required for transactions, and then optimizes each from the management perspective. Preparation of “statistical information” involves compiling and consolidating multiple relevant applications and various pertinent information. Because the statistical information applicable to marketing does not require immediacy, we consolidate statistical information by developing a mechanism in which the master information for each application is consolidated and maintained post-operation and incorporated into the necessary systems at appropriate timing for information consolidation. 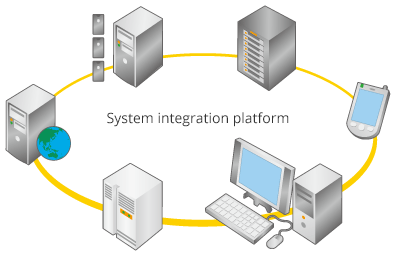 Users of single systems (databases) can configure the system to suit their purposes by selecting and combining user interfaces, such as a client server, browser, Rich Client and mobile. They can also take advantage of the characteristic properties of individual platforms, such as the operability of the client server system for business applications and the versatility of the B-to-C browser system for consumers, to select platforms to suit specific purposes. Farmind organically integrates systems it has developed separately in response to specific business circumstances. We begin by obtaining an overall view of the individual business and develop systems to handle specific operations at the optimal point in time as the business grows (short- and mid-range development with high versatility), rather than developing a large-scale system all at once (long-range development with limited versatility). We then provide follow-up through system integration, thus creating powerful tools to support the business’s progress. 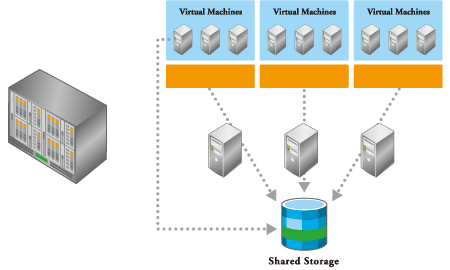 We have significantly improved our systems’ defect tolerance and flexibility by creating a hardware environment that combines blade servers with virtual servers. We construct durable IT infrastructure environments with the flexibility to tolerate defects in the operation of the blade server power unit, redundancy of the complete hardware by virtual server and moving of a server during operation. We are equipped to offer solutions involving both hosting on a server we developed in-house and housing in a rental server environment. We supply our systems only after conducting a quality assurance process established with the aim of providing systems that meet users’ needs. Our dedicated quality assurance staff participate from the stage of determining the system requirements and draft a testing plan based on a full understanding of the user’s needs. All-inclusive testing—from experiments with individual programs to overall investigations of compliance with user specifications—is conducted to assure excellent structural quality. We continuously renovate and upgrade our quality assurance processes. 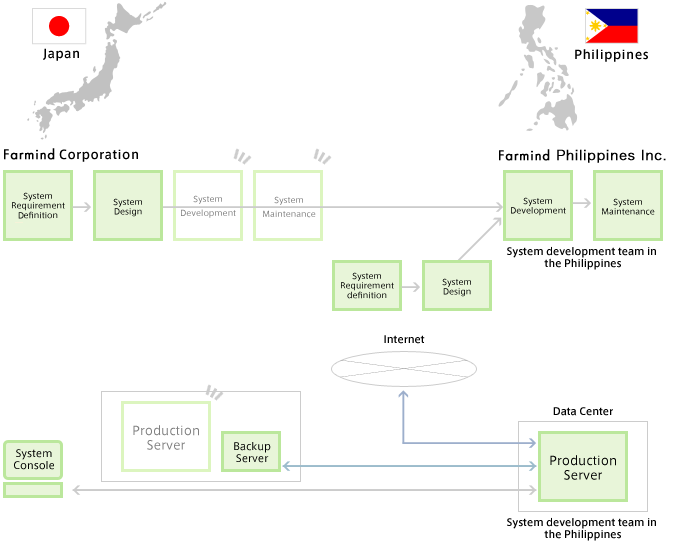 Farmind’s system development and operations management are conducted at our system development and management base in the Philippines with its remarkably high technological capabilities and relatively low cost. We manage our server networks according to a maintenance plan designed in advance (based on hypotheses), followed by analysis of the results of implementation (verification). Records of defects and work conducted are prepared during maintenance, and the frequency of actual failures is checked to enable elimination of excessive steps by reducing the frequency of maintenance for parts considered least prone to future failure. The frequency of monitoring and maintenance is increased, on the other hand, for parts that exhibit a high incidence of failure. This approach enables us to offer customers a maintenance program that is optimized in terms of both content and cost.